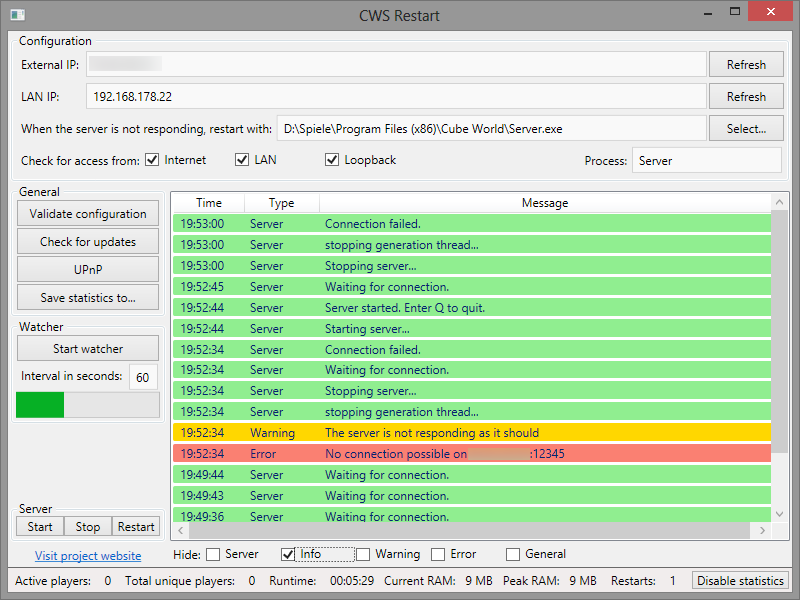 CWSRestart is a tool, that can be used to check if your server is still alive. It will monitor your server, if the process still exists. 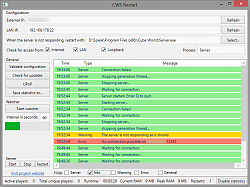 In addition, CWSRestart will try to connect to your server, to see if it is still listening for connections. When at least on check fails, your server is restarted. 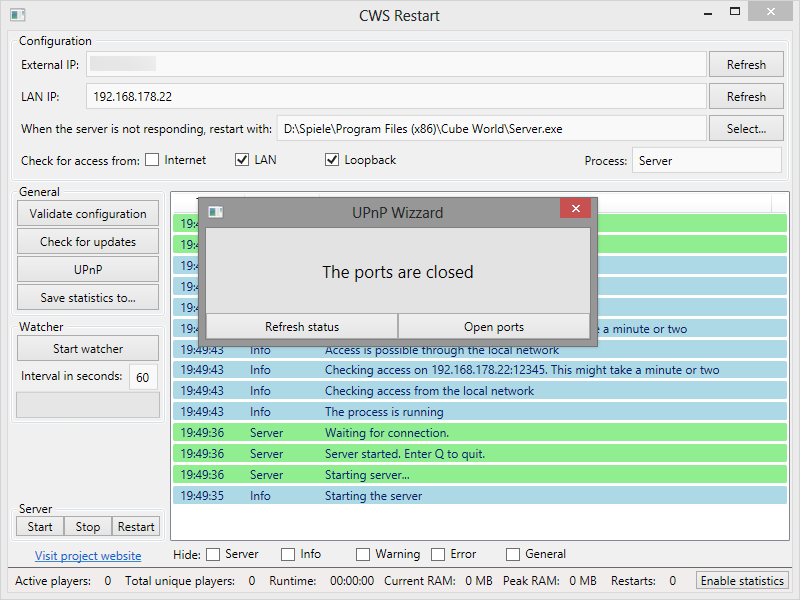 - CWSRestart does not hook into the server, so it should also work with custom servers out there. 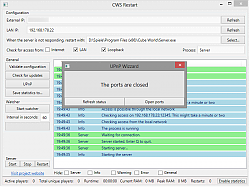 There is also an optional web interface available, to allow remote management of CWSRestart. It can also display statistics. If you have any feature requests, don't hesitate to contact me!